Over the last two days, ABC debuted two new family sitcoms; Splitting Up Together and Alex, Inc. Family orientated sitcoms have become a major element of ABC’s brand, which includes the critically acclaimed and highly viewed Modern Family, The Middle, Fresh Off The Boat and The Goldbergs. 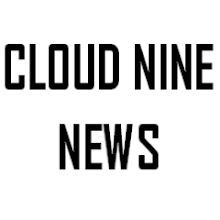 The two new shows fit right into ABC’s deck of shows which should not come as a surprise since both shows are produced by ABC alumni. Splitting Up Together is based on a Danish format and was developed for American television by Suburgatory and Selfie creator Emily Kapnek. Alex, Inc. stars Zach Braff, who also serves as the show’s director for the first two episodes. Splitting Up Together is a fairly typical sitcom about a couple who decide to live under one roof whilst they go through a divorce. The characters are all stereotypes we have seen before; the uptight mother, the man-child father, and their three, eccentric children. 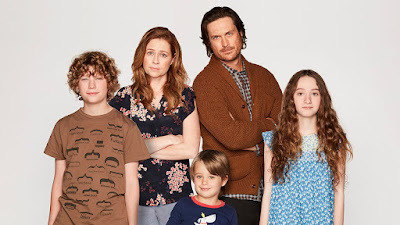 There are some truly funny moments in the pilot however, the first episode spends most of its run time setting up the premise of the show (as expected in a sitcom pilot) and flashing back to the happier times in Lena (Jenna Fischer) and Martin's (Oliver Hudson) relationship. Splitting Up Together is an easy, and despite its somewhat gloomy premise, pleasant. The series developer, Emily Kapnek is the main reason why I am so interested in Splitting Up Together and its future. Kapnek created two of the most underrated sitcoms this decade, Suburgatory (2011-2014) and Selfie (2014), both of which had fairly regular premises but managed to separate themselves from other sitcoms by becoming less dependent on their plots and more focused on character driven humour. Suburgatory became one of the most unique and zany critiques on American suburbia, introduced us to a wide array of fantastically flawed characters, which were all presented through the narration of a Tessa, a sarcastic teenage girl who lived with her single parent father. Hopefully Splitting Up Together manages to find more unique characters and episode plots to support it's interesting but bland premise. In Kapnek we trust. Alex, Inc. starts off stronger than Splitting Up Together in almost every way. The concept is unique and topical, the children are expertly cast and the pilot has a refreshing uplifting feeling. It stars Zach Braff as Alex Schuman, a father who decides to start a podcast company with the help of his family. The children are funnier and more tolerable than the kid characters in Splitting Up Together. Plus, Elisha Henig who plays Ben Schuman, Alex's son is the pilot episode's main highlight and a complete scene-stealer. However, similarly to my feelings towards Splitting Up Together, I have my concerns with Alex, Inc. The pilot is very much focused on Alex as a father who, quite immaturely, decides to put his own career before his families needs. I'm sure this will become a plotline for a future episode however, it is impossible not to watch the show and think that Alex is just another American sitcom man child archetype but this time, he is pursuing the American dream in the form of a podcast company. 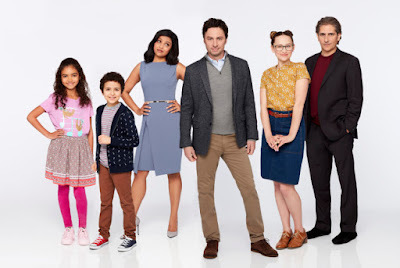 Hopefully Alex, Inc. makes time for the rest of the Schuman clan, played by Tiya Sircar and Audyssie James because the show, like Splitting Up Together, appears to already have the foundations for what could be a great sitcom.